Few former bus companies have retained a place in former customers’ psyche’s more than Southdown Motor Services. 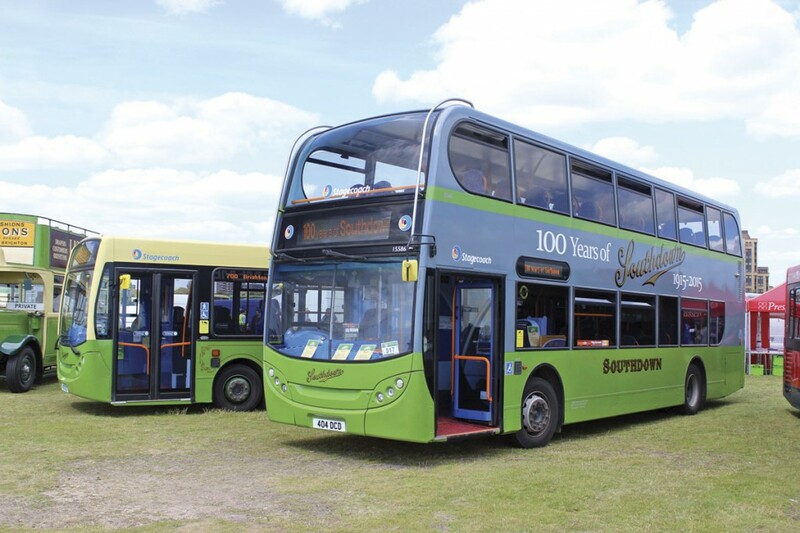 Though the company disappeared in its own right within Stagecoach in August 1989, it is still fondly thought of by many, as the massive turnout at celebrations last weekend to mark the centenary of its foundation in June 1915 showed. Held on Southsea Common, the event attracted a huge array of Southdown buses and coaches from throughout its history as well as representatives of the Stagecoach fleet, old and new PSVs from other local and national fleets, former Southdown service vehicles and two buses from the current Stagecoach fleet that have been painted in special liveries to mark the anniversary. 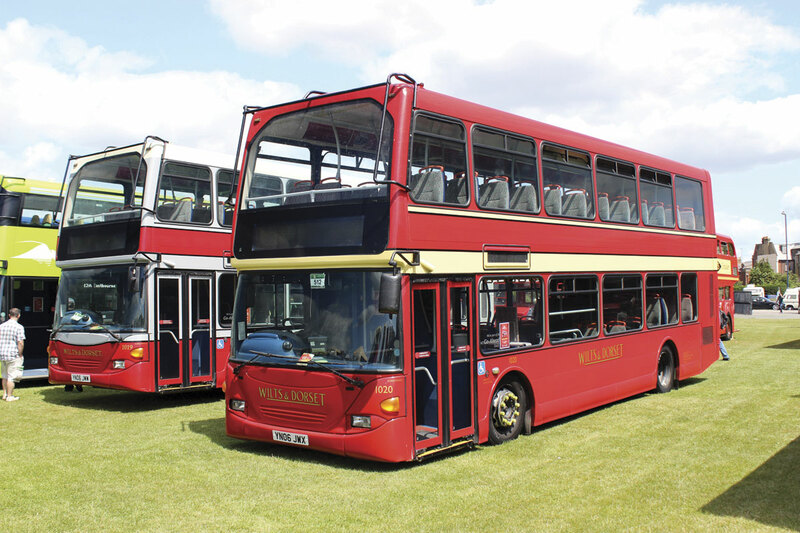 One was an Enviro400 in wartime green and grey, the other an Enviro300 in the more widely recognised green and cream. 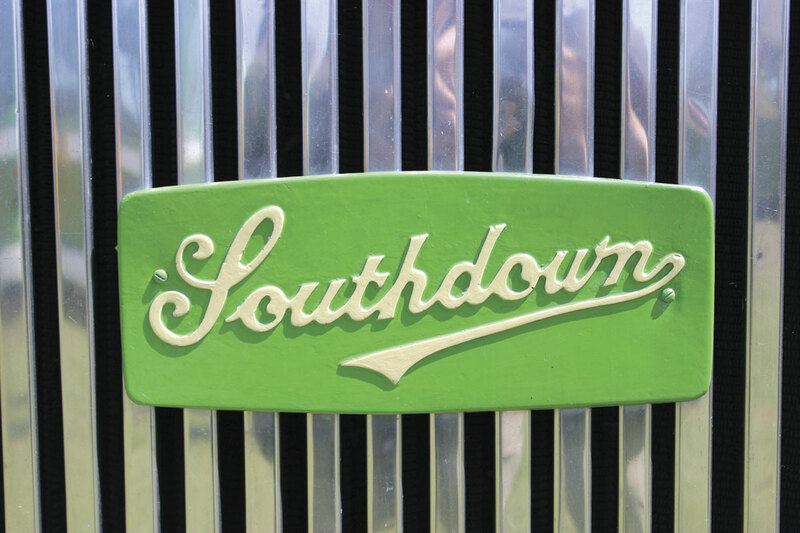 Southdown’s operating territory stretched from Fareham in the West to Hastings in the East, and at times beyond this. The main operating areas were Chichester, Eastbourne, Portsmouth, Worthing and Brighton, though the number of administrative regions was three (Eastern, Central and Western). 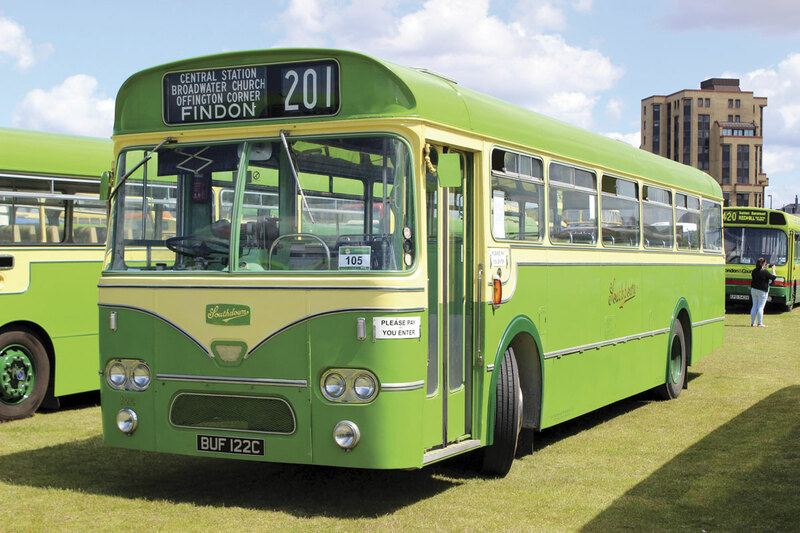 The separate Brighton, Hove and District Omnibus Co concern was incorporated within the main company from the start of the National Bus Company era in 1969 through to privatisation in 1986 when the Brighton operations were split out again and sold to the management before passing to the Go-Ahead Group. Each of the separate areas had a main garage and as many as seven sub depots on top of which there was a central works facility in Portslade. 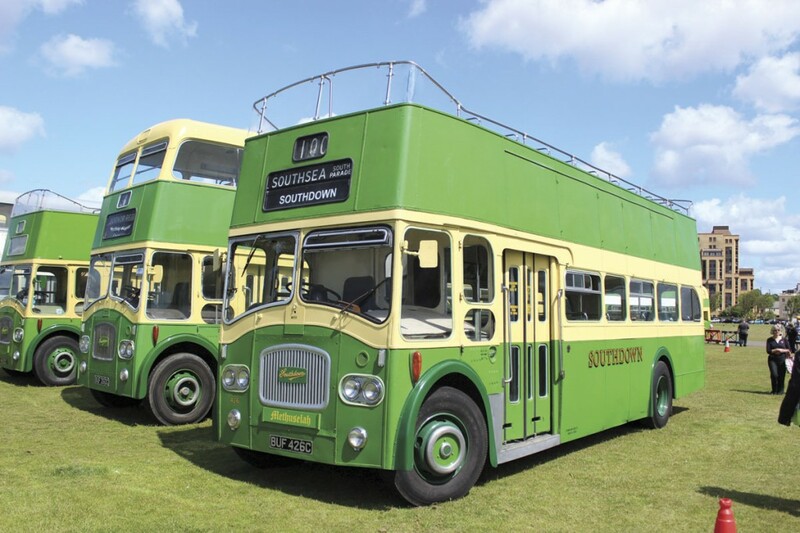 The old Southdown depots at Chichester and Worthing remain in use with Stagecoach today. 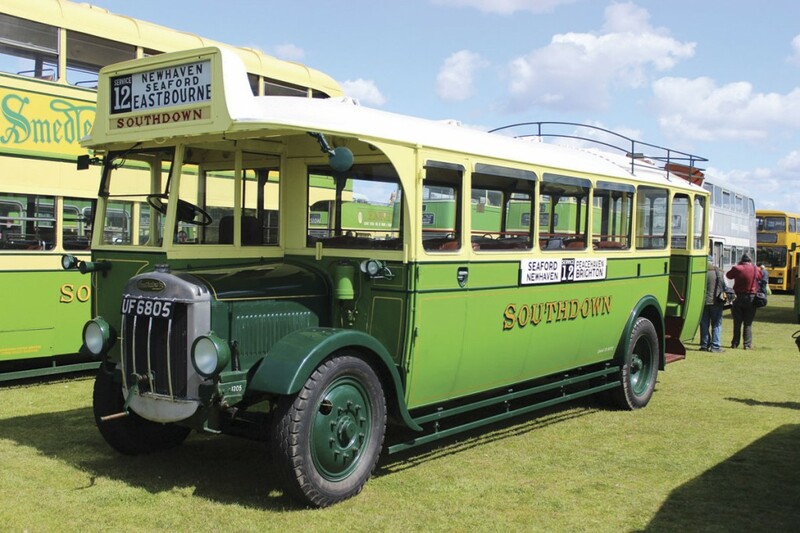 As well as its bus operations, Southdown was renowned for its coaching and touring activities, building up large fleets of especially luxurious vehicles, some of which featured two and one seating. Many but by no means all were purchased from Hove based Harrington, and a good number of these were in evidence at Southsea. 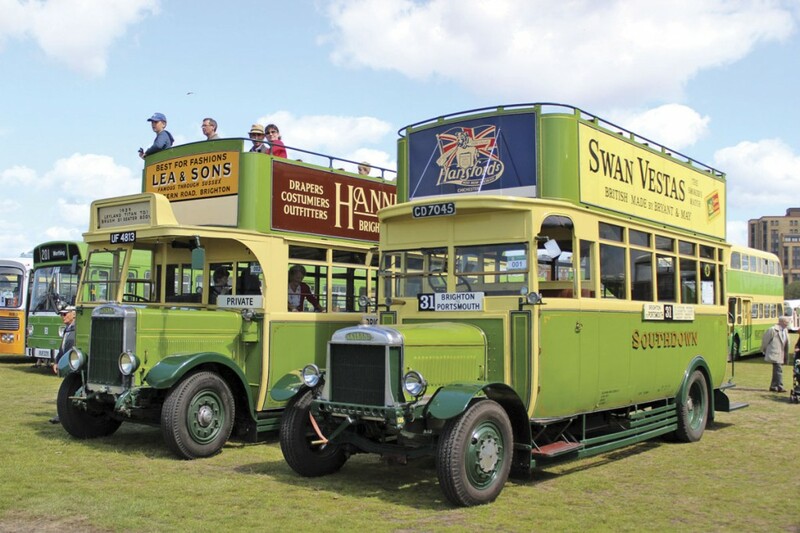 It is particularly fortunate from a historical standpoint that so many pre-Second World War buses survive in active preservation, helped in no small part by the existence of the Amberley Chalk Pits Museum where some of the vehicles reside in two recreated rural Southdown bus garages. 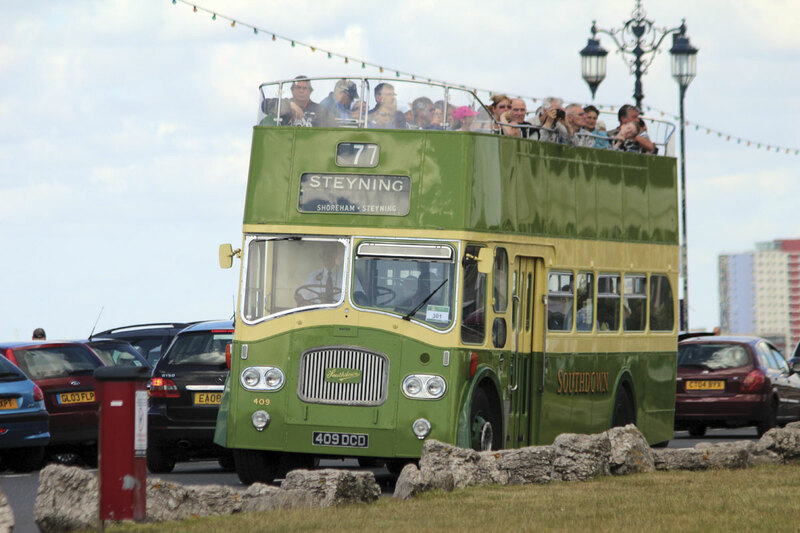 Subsequent generations of buses have also had their adherents and for many it is the full fronted Queen Mary style of body on the Leyland Titan chassis of the 1950s and 1960s that typifies the company, especially the convertible open toppers that plied on the seafront services, quite a number of which survive. 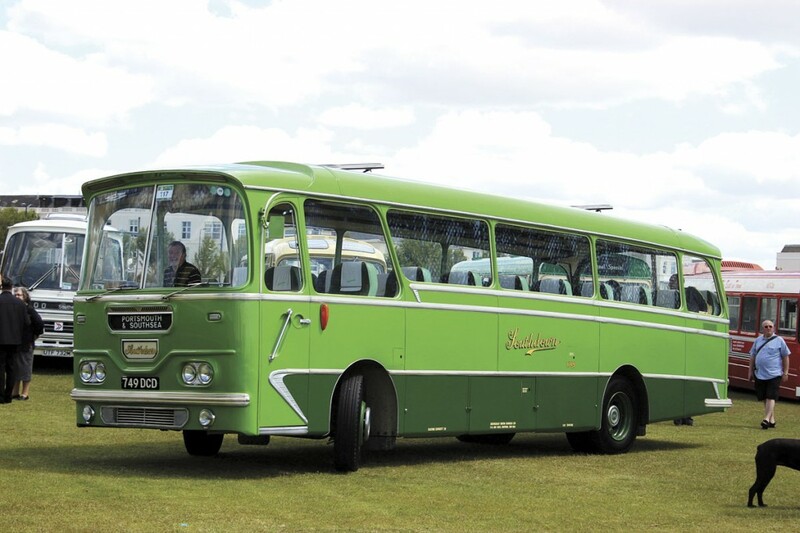 The later generations also have their followers as a strong contingent of Bristol VRs and the inevitable Leyland National bore witness. 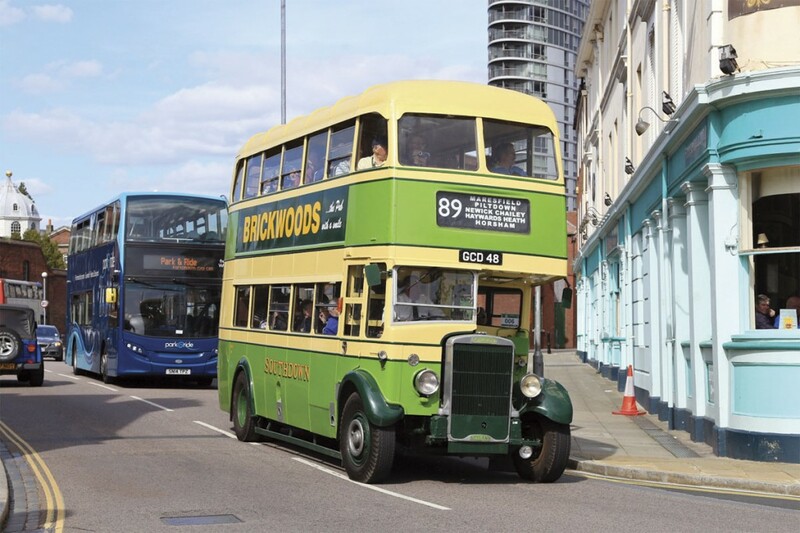 From Southsea Common, regular free trips were operated using heritage vehicles. 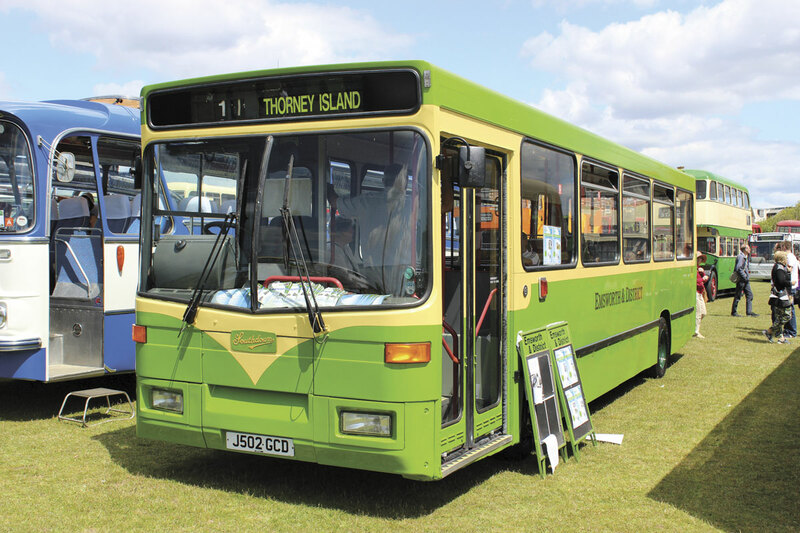 One was a Seafront service mainly operated by former convertible open top Queen Mary type Leyland Titans with Northern Counties bodywork and former Portsmouth Corporation Titan MCCW open toppers. 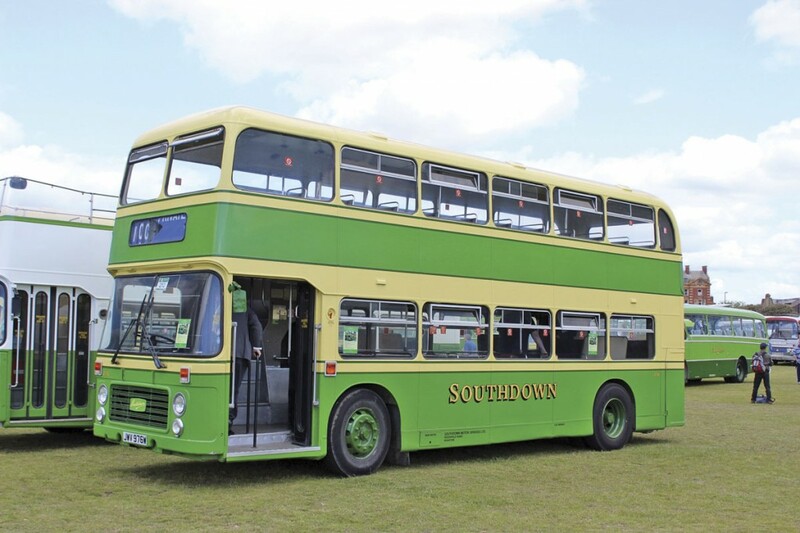 The other, which employed a greater variety of both Southdown and non Southdown buses and coaches, linked the rally site with The Hard Interchange and the City Centre. Queues for both were lengthy but regular departures meant waits were not too long. A pleasant aspect of the proceedings was the opportunity for former colleagues to meet up again in a specially set out reunion facility. 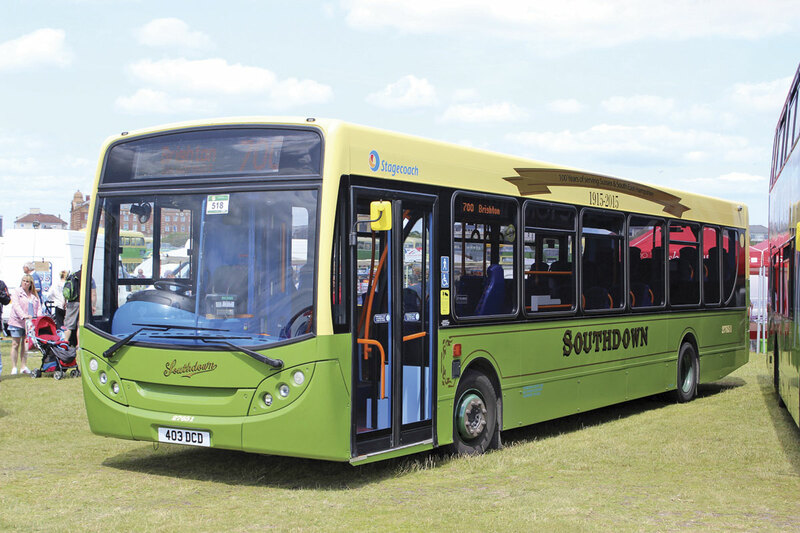 Bringing things up to date were buses from the current Stagecoach fleet, including an Enviro200 branded for the Hayling Island 30 and 31 services. Among the newest exhibits were a Brighton & Hove Streetdeck in a new blue and green livery, a new Reading ADL Enviro400 MMC and a newly delivered Irizar i6 tri-axle for Lucketts Coaches. Fine weather set the day off, recreating the conditions in which so many of us formed our first Southdown memories.